Famous American chain of fashion retailers and Alec Monopoly, a well-known graffiti artist have made a great deal. 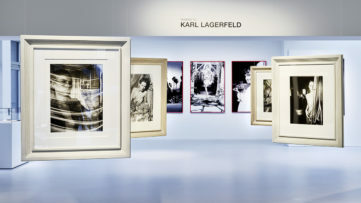 They have collaborated on a limited edition collection of men’s and women’s apparel and accessories. 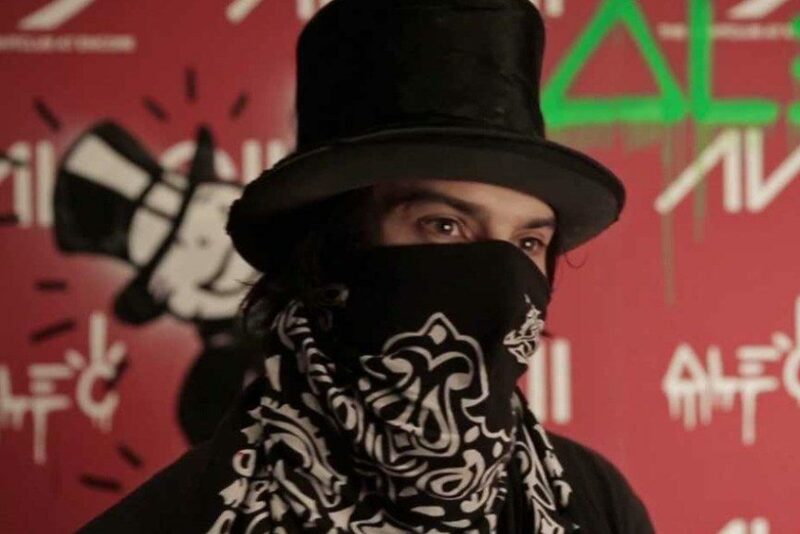 Alec Monopoly is best known for his top-hatted graffiti character of Monopoly Man. On the other hand, Forever 21 is one of the largest fashion companies in the United States, with some 500 stores all over the world. The collaboration between Forever 21 and Alec Monopoly will result in artworks that grace hooded pullovers, crew neck sweatshirts, short sleeve graphic t-shirts, canvas tote bags, nail art décor, note pads and more. 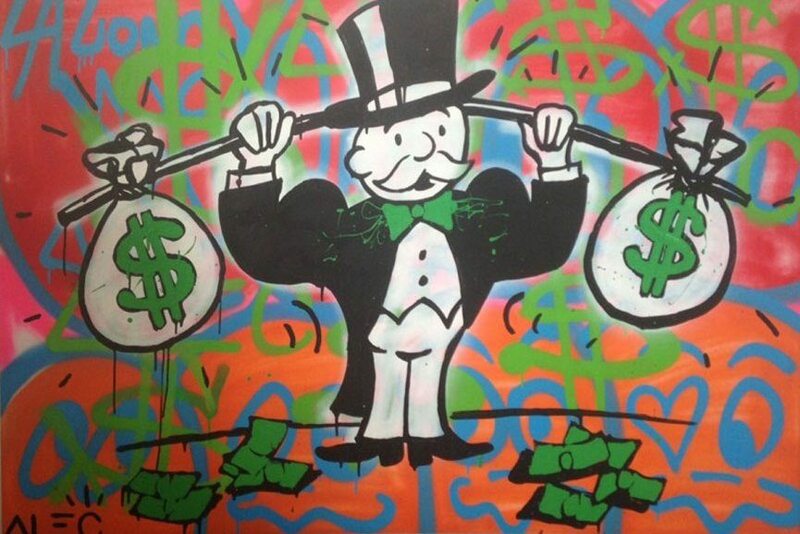 Alec Monopoly is a Los-Angeles based graffiti artist. He was born in New York, but moved to California in 2006. He is best known for top-hatted graffiti character of Monopoly Man, that artist began to create in 2008. According to the artist himself, he began with tagging the Monopoly Man when he saw Bernie Madoff being arrested on the news. And people liked it, so he has continued with his unique Monopoly Man style. However, Alec Monopoly is also known for paintings that riffed Christian Bale in a cult movie American Psycho, and Michael Douglas in Wall Street. This American graffiti master is also popular within celebrity circles. He recently painted an Hermès Birkin bag neon green with the Monopoly Man for Khloe Kardashian (if you are interested in showbiz, take a look at our article about Showbiz and Art in 2014). 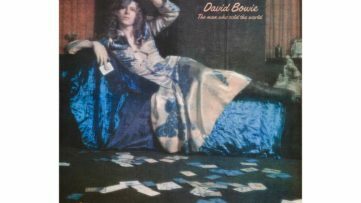 This amazing artist is also known for wearing a top hat, while Beverly Hills residents can often see the artist in his posh black Rolls Royce with gold-rim tires. 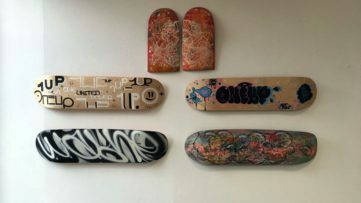 Alec Monopoly is also interested in sculpture – he has recently become quite interested in this medium, and is preparing for his first solo museum show at the Museum of Contemporary Art in Bangkok in October. 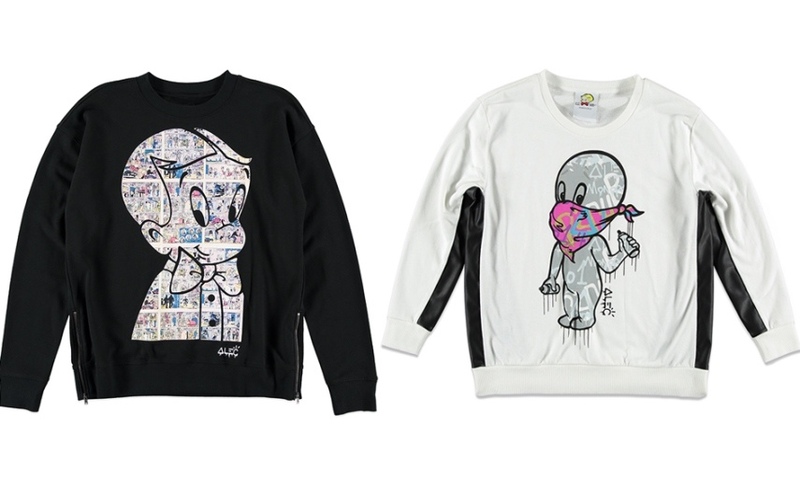 For the limited edition collection that will come out from the collaboration between Forever 21 and Alec Monopoly, the artist will use his well-known characters (i.e. Rich Uncle Pennybags, the mascot of the board game Monopoly). However, the artist has also reinterpreted other similar icons from the 1990s, such as Casper the Friendly Ghost and Richie Rich, and turned them into artworks that will find their place on many of Forever 21 men’s and women’s apparel and accessories. On Saturday, August 22, 2015, the artist hosted a party at Surf Lodge, giving guests a glimpse of the Forever 21 x Alec Monopoly collection and painting a surfboard that was auctioned to benefit the yet-to-be-opened Montauk Surf Museum. Art lovers who want to see the famous graffiti artist working should be present at Thursday night’s launch party in the Forever 21 Times Square store. The Forever 21 x Alec Monopoly Collection drops in stores throughout the United States, and online at Forever21.com on Friday, August 28.